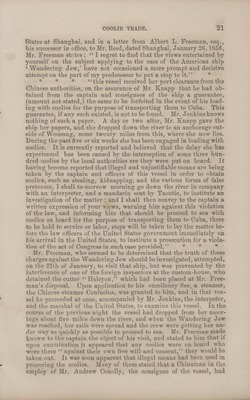 "Report from House of Representatives (1860) 21"
Report No. 443 from House of Representatives regarding the Coolie Trade to accompany Bill H.R. No. 657. Image 21 of 30.